Alcohol marketers have two reasons to feel good about the findings of a new academic study on advertising impact. For one, their money seems to be well spent on generating new or loyal customers. But at the same time, their ads don't seem to be turning America into a nation of drunks. 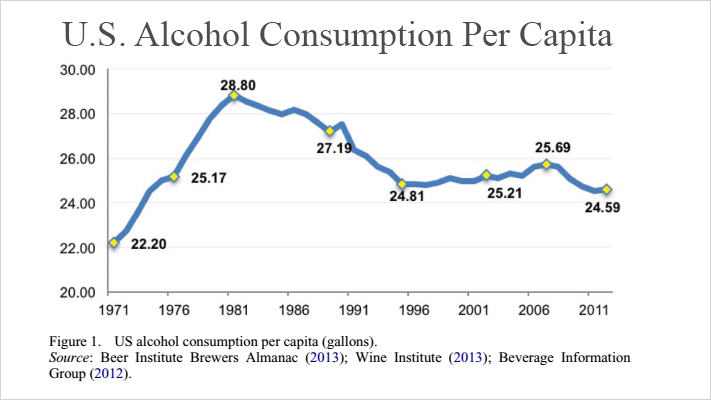 The study looked at alcohol sales between 1971 and 2011 and found that during the 40-year time frame, per capita consumption remained relatively unchanged. In that time period, the study reports, alcohol advertising in the U.S. increased more than 400 percent. "Relating these findings to previous research reveals a consistency in that there is either no relationship or a weak one between advertising and aggregate sales," the report states. "Over this time period, beer sales have exhibited a downward trend since the early 1990s, while wine and liquor have increased their share of total alcohol sales. 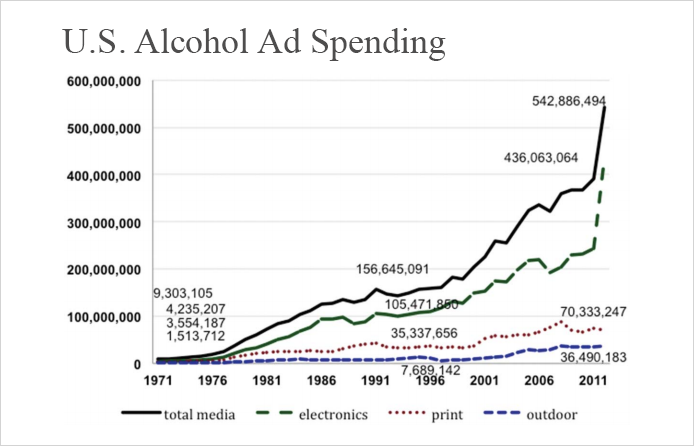 This is despite large increases in advertising expenditures across all three categories of alcohol." While advertising might have little impact on how much we drink, the study says it's still safe to assume that ads are effective at guiding brand preference. One might be swayed to stock up on Budweiser or Heineken after watching a particularly strong ad, for example, but that's not to say the customer will go out and drink more than he should or would anyway. The academics behind the study didn't delve into this issue of brand affinity themselves, but they do cite several studies that support the market power viewpoint that advertising is most effective at informing consumers of competitive information such as pricing and availability. The researchers say their findings on overall consumption being flat as ad sales skyrocket bring into question the idea of restricting alcohol advertising to curb problem drinking. "This study has provided evidence of consumption changes across categories of alcohol beverages over the past 40-plus years, with the preponderance of those changes significantly correlated to fluctuations in demography, taxation and income levels—not advertising." Los Angeles recently banned alcohol advertising from public transit, including bus shelters, as several other U.S. cities have done in the past. The reason is usually to avoid underage exposure to alcohol ads. For example, a 2008 study of alcohol ads on Boston's public transit found that the ads were seen 1.2 million times per day and that 54 percent of public school students saw the ads. The new study from the University of Texas at Austin argues that such well-intentioned bans likely aren't actually effective at limiting how much people drink. "Although criticisms of alcohol advertising and promotional methods abound, remedies that would restrict or overly regulate such communication activities usually do not have the desired effect of reducing consumption," wrote Wilcox, the study's lead professor. "Instead, a more logical alternative would be to communicate as much information as possible to the public about the subject and encourage all viewpoints so our society makes an autonomous, rational choice regarding alcohol consumption." In America, at least, most restrictions on alcohol advertising are self-imposed by the beverage industry and focus on encouraging responsible drinking. That's why most beer ads, for example, focus on taste rather than hard partying. Some have even poked a bit of fun at the rules, like in a recent spot from Heineken Light starring Neil Patrick Harris, who seems confused about why he's not allowed to actually drink the beer on camera. The FCC, however, has no specific rules governing alcohol ads. Instead, trade groups such as the Beer Institute are entrusted with policing themselves through their own sets of advertising rules and guidelines. The Beer Institute's guidelines suggest ads selling alcoholic beverages should never condone drunken driving or show someone who has "lost control" from drinking too much. Brewers are also advised not to depict scenes of reckless drinking behavior, such as college students playing beer pong or funneling beers. Beer Institute president and CEO Jim McGreevy said that brewers agree with the thinking behind the new study in that if communities work together, they can find ways to promote responsible drinking without ad bans. 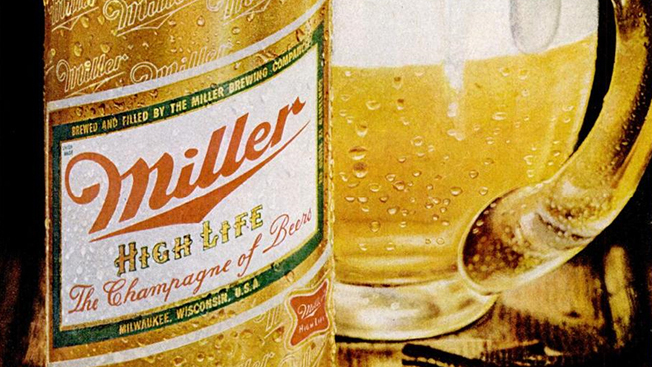 "Brewers and beer importers have long practiced responsible self-regulation when it comes to advertising, with the first voluntary guidelines dating back to the 1930s," McGreevy said in an email. "This model is more prompt and flexible than government regulations and is frequently reviewed and praised by the Federal Trade Commission as one that 'conserves limited government resources.'"